He’s Back! Hart Completes Loan Move To West Ham – Royal Times of Nigeria. 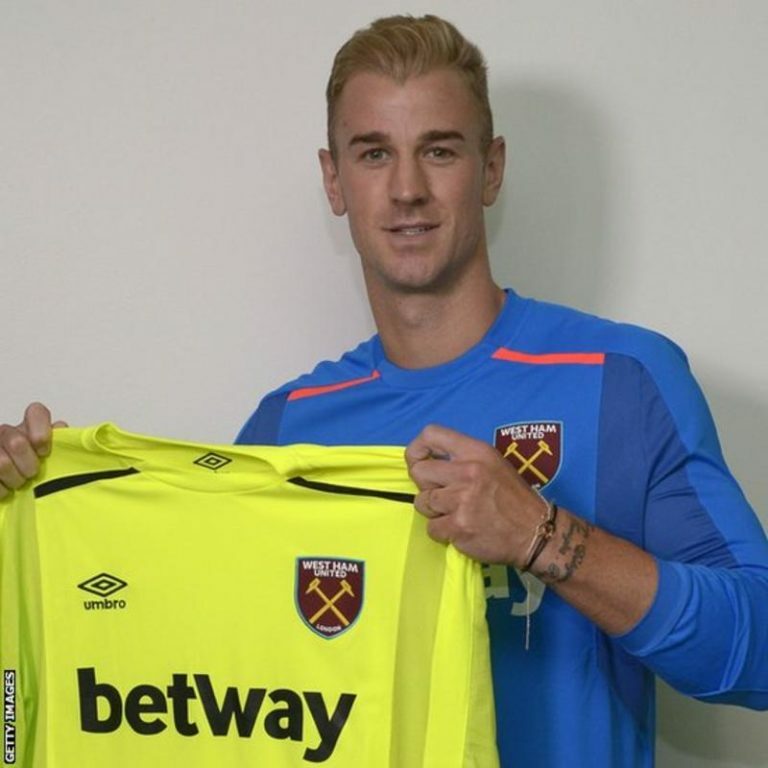 Manchester City and England goalkeeper Joe Hart has completed a season-long loan move to West Ham. Hart had been told he could find another club by City boss Pep Guardiola after spending last season at Torino. According to BBC Sports, the 30-year-old made it clear to City his preference was to join West Ham, and they facilitated that. There is no option to buy in the deal and, should West Ham want Hart next summer, they will have to bid for him like any other club. City has agreed to fund part of Hart’s wages but West Ham are also paying a loan fee, believed to be £4.5m. Hart, whose City contract is not due to expire until 2019, is expected to join West Ham’s squad on their pre-season tour of Austria. “It’s important for me to play football, and to get the opportunity to come here and play is absolutely awesome,” he said. Hart won the Premier League twice with Manchester City, and has been capped 71 times by England, but fell out of favour after Pep Guardiola took over as manager. Although he will not play against City in the league, he could face his parent club as soon as 4 August in a pre-season friendly match in Iceland. West Ham’s season starts against Manchester United at Old Trafford nine days later.